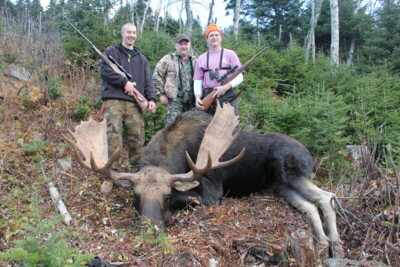 We are a guide service specializing in trophy Maine moose hunts in WMDs 7,8,12,13,and 14. 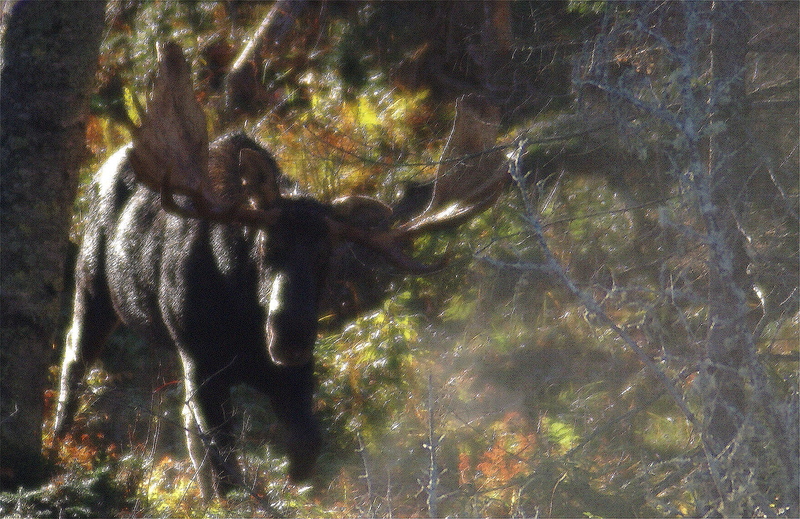 We provide the ultimate moose hunting experience by working diligently to ensure quality opportunities for our clients. 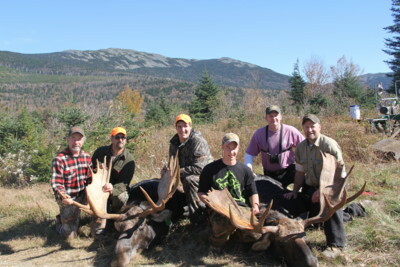 We set up our canvas wall tents in the remote mountains of western Maine each October with the goal of harvesting only mature Boone and Crockett class bulls. 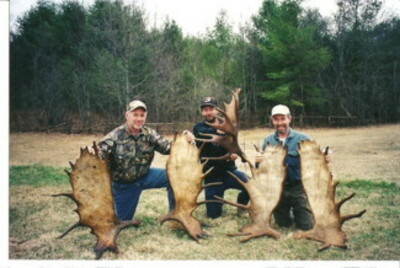 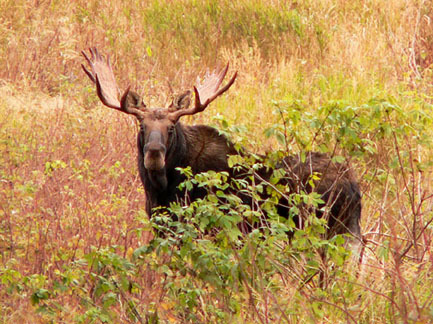 While we also offer excellent hunts for other game such as deer, turkeys and upland game, moose are our primary focus. 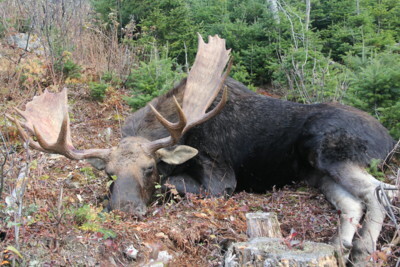 If you are serious about photographing and/or harvesting a trophy Maine bull moose please contact us for more information. 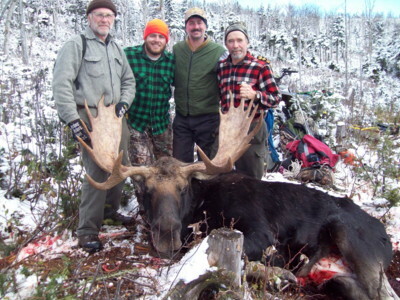 Roger Lambert is the owner of Maine Guide & Outfitter Services. 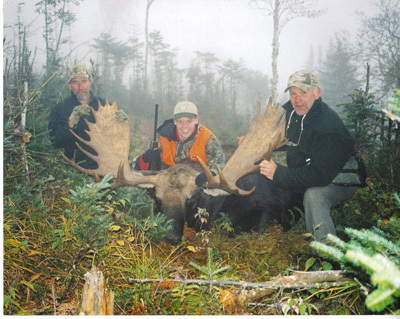 He is a Life Member of the Maine Professional Guides Association. 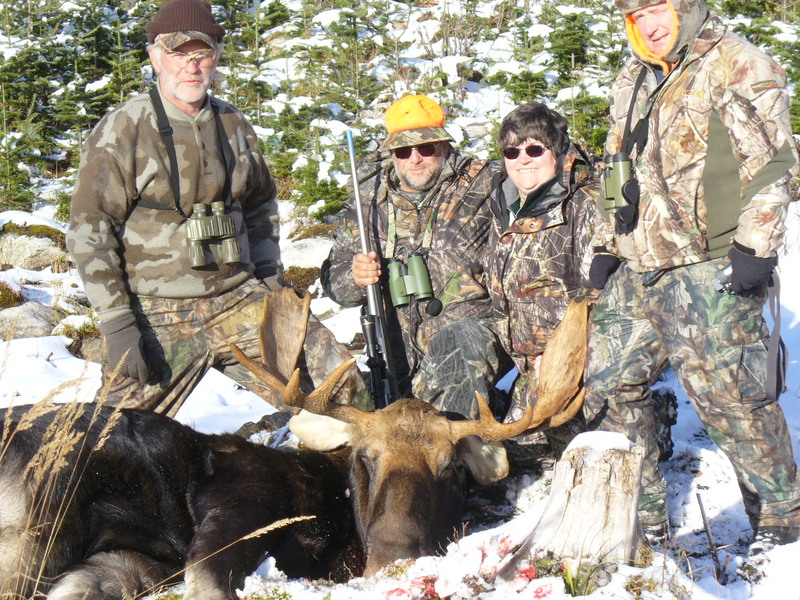 Moose Hunting, Moose Photo Safaris, Spring & Fall Turkey Hunts, Deer Hunting, Bird Hunting, & Fly Fishing.